Star Wars Celebration 2019 is taking place this weekend in Chicago, IL, and Funko will be there with a boatload of awesome Star Wars Pop! exclusives. 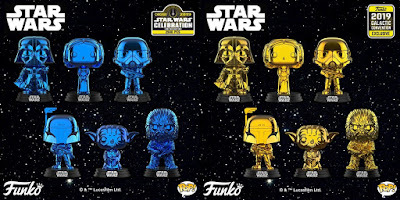 Check out these super shiny blue and gold chrome Star Wars Celebration 2019 Exclusive Pop! figures of classic Star Wars characters like Darth Vader, Boba Fett, Chewbacca, Yoda, Stormtrooper and Princess Leia. 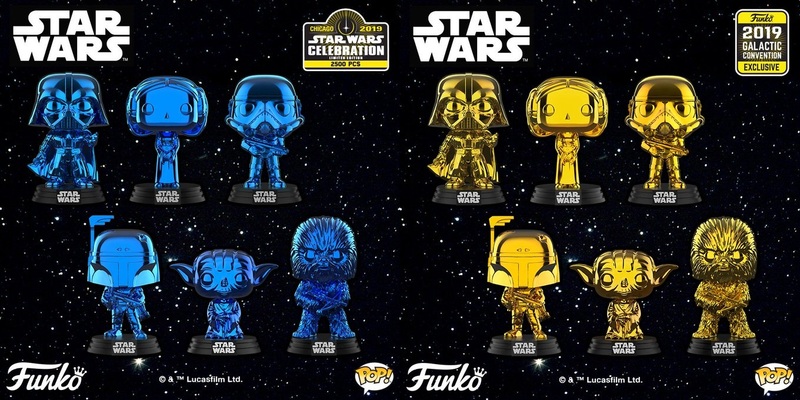 The Blue Chrome Edition are exclusive to Star Wars Celebration, while the Gold Chrome Edition will be available at both Star Wars Celebration and select retailers. But that’s not all! 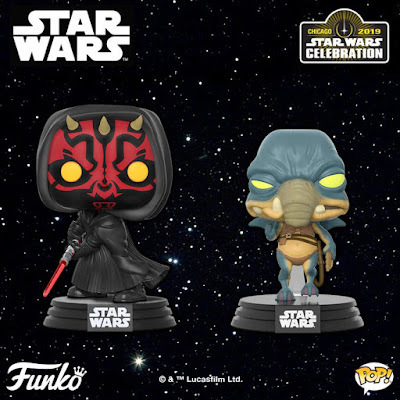 To celebrate the 20th anniversary of Star Wars: The Phantom Menace, Funko is also release these Star Wars Celebration Exclusive Darth Maul and Watto Pop! figures. All 14 figures can be purchased this weekend (while supplies last) at the Funko SWC booth.